Normally I would post a review of a Doctor Who episode on Geekers Keep. 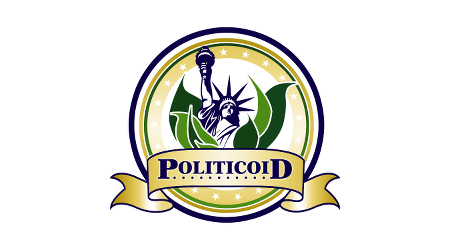 However, given how political the episode was, I decided it would be a better choice to respond through Politicoid. I certainly liked elements of the show. It had a fear element that was similar to that found in Silence in the Library. The interplay between the Doctor, Bill, and Nardole was also quite good, and the price the Doctor paid during the episode should move the plot forward quite a bit. But there was so much that was wrong with the episode, from a political standpoint. I am going to start with the part that I did not mind too much. The show poked fun at racism, in a good way. It took Billy, a black character, who during our time would have likely experienced racial prejudice in our time, and threw it back around by having her on the other end of things with Dahh-Ren. The writers even poked fun with the phrase “some of my best friends are blue-ish,” spoken by Nardole. These are all great ways to poke at the stupidity of racism. However, ironically enough, they kill of the “blue guy.” So when it comes down to it, the token blue guy was offed. Now for the part that really ticked me off: the capitalism bashing. This kind of attack on capitalism is in no way new. Consider the anti-corporatist/anti-capitalist bashing spewed by Avatar, which ironically drew in massive profits for its capitalist producers. But consider this. In the twisted reality constructed by the Jamie Mathieson, the writer of “Oxygen,” it is apparently easier and less costly to program a bunch of suits to kill off the crew, hoping that no one will survive, ignoring the bad publicity of an “accident” of that nature, insurance costs, etc, than it would be to simply fire the crew. Furthermore, contrary to popular belief, capitalism is not simply an attempt to maximize profit as quickly as possible, and at any cost. There are many types of capitalism. For a while, corporations in the United States were actually forced to think of the shareholders over all else. That is because the courts ruled that the primary fiduciary responsibility of a corporation was to its shareholders. However, even then, many corporations focused on wealth maximization and long term growth, over immediate profits. But the United States has finally allowed corporations to have a different primary focus. Public benefit corporations are allowed to focus on their mission statement first, and worry about the shareholders second. In this way, there is no violation of fiduciary responsibility. But this is still capitalism. While I wanted to like the episode more, the constant bashing of capitalism just gave me a head ache. It took away from the story. While the solution to escaping would have been different had the anti-capitalist element not been in the plot, most of the story would have remained unaffected. Therefore I can at most give this episode 5/10. And the fact that I had to place this review on my political blog, rather than on my geek blog, due to the overly political nature of the episode, is just annoying. Interestingly, BBC itself takes advantage of capitalism, through its BBC Worldwide corporation. The corporation made a profit of £948.1m in 2014. While it is true that BBC itself is non-profit, the fact that it relies on an institution that amasses significant profits, while simultaneously bashing capitalism is rather disgusting, throw in the fact that they messed up with the “token blue” character makes me really want to give the episode a 4/10.